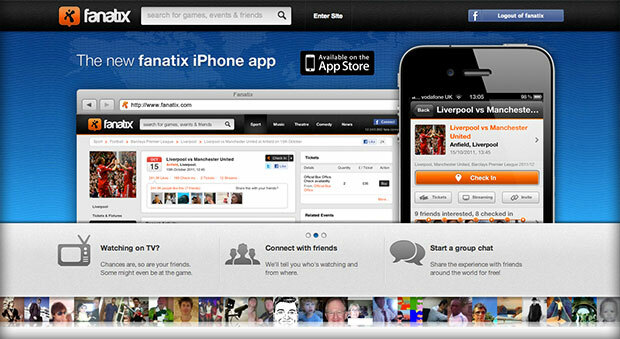 Fanatix is a Fan discovery and Group messaging platform that is gaining traction in a fast and furious way. It is an amazing feeling to be part of a team that has built and published an app (with online platform), that is proving so successful. The iPhone app has been featured on the UK and US AppStores as “New & Noteworthy” and currently sits in the top 10 of the Sports Apps category. An absolute delight for the whole team. And now you can also check out the amazing iPad app, for which I was also responsible for the design and usability. 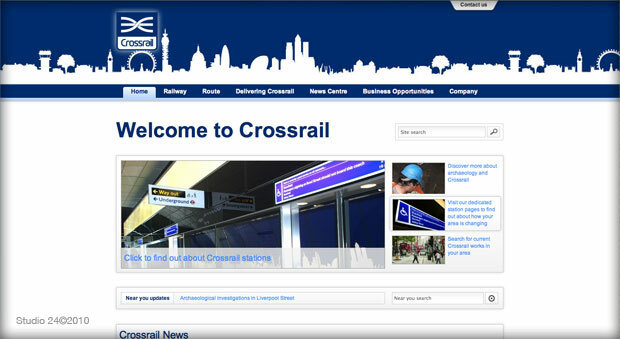 Crossrail is a multi billion pound transportation project, that aims to activate a new underground network in London by 2017. At Studio 24 I was delighted to be responsible for the design and UX of this vast website. Caught Off Side is a blog dedicated to football news and “gossip”. 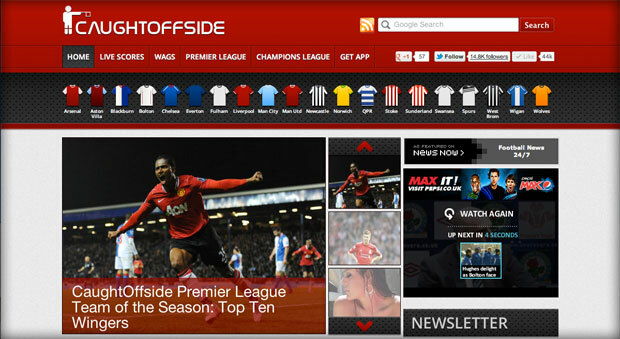 This is a website with millions of monthly visits, a must visit for all football related news! While at Tixdaq I was given the opportunity to completely redesign the web property inputting a more news related look and feel and giving some pixel love to many of the sites features. 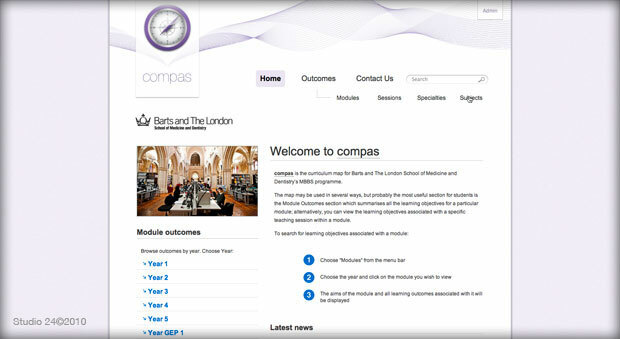 compas is the curriculum map for Barts and The London School of Medicine and Dentistry’s MBBS programme. 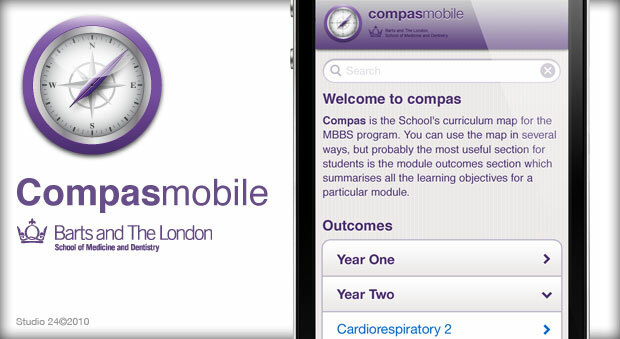 At Studio 24 I was delighted to be responsible for the design and UX of this “knowledge base” that serves the students of The Barts and The London School of Medicine and Dentistry . 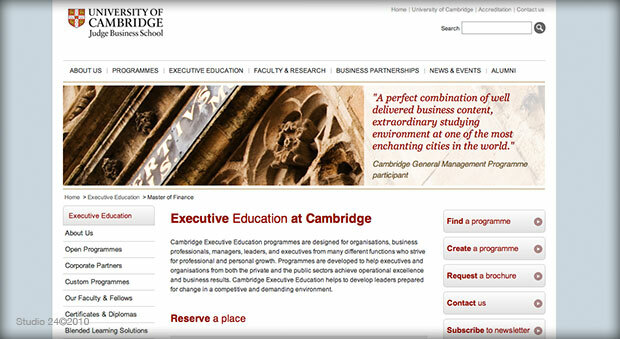 Judge Business School Approached Studio 24 to redesign the look an feel of their Executive Education Website. I was delighted to be the responsible designer for this redesign, in which I think the results are quite pleasant. We maintained the classic look of the Cambridge brand, implementing on the other hand, quite sophisticated interaction and modern details that highlight the progressive nature of the programmes. 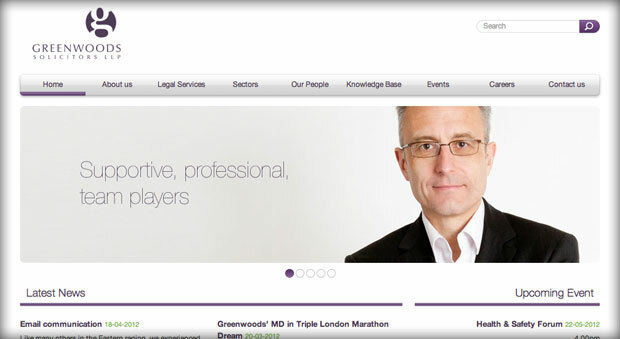 At Studio 24 I had the pleasure to be assigned to work on the new Greenwoods Solicitors Website. This was a challenge due the amount of information available through their website. The styling guidelines were also new for me and we worked very hard, including a photo shoot, to produce this very clean and professional looking website. It was a real treat this one! 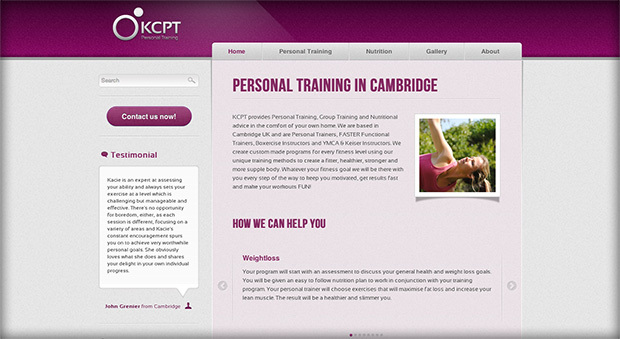 Cambridge Airport part of the Marshall group contacted Studio 24 to create their website. Website for a small airport venturing into the holiday market and taking advantage of the upcoming London 2012 Olympic Games, as a hub to London. I was in charge of the design of this piece, and it was delightful to create this simple yet effective website. 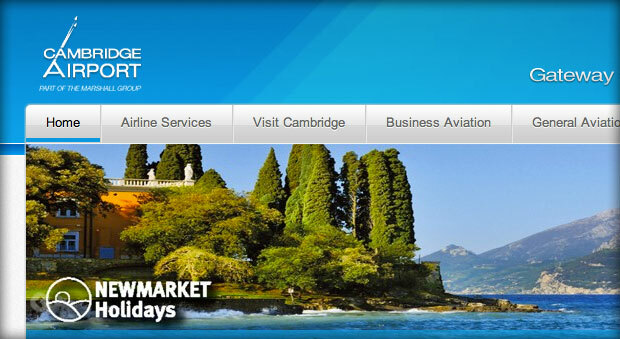 Make the jump and visit the Cambridge Airport Website. After a couple of months in the making, I’ve just published the new kcpt.co.uk website. Using loads of cool open source stuff, like WordPress, Starkers theme, HTML5 Boiler plate. It was truly a pleasure to design and build this website. 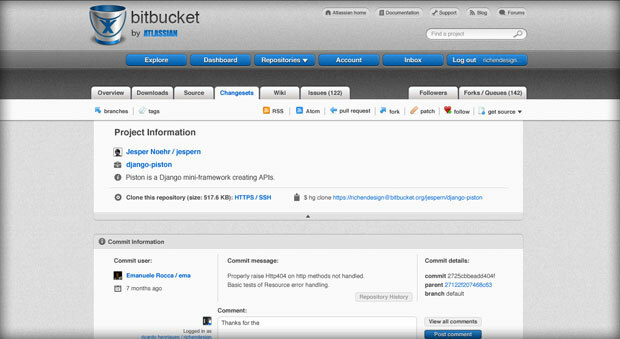 Bitbucket is a free code hosting site, for the popular Mercurial distributed version control system (DVCS), with over 100,000 users. I was asked to create a design mockup for the changeset page for Bitbucket. In the process I also designed the Bitbucket Logo/ icon. 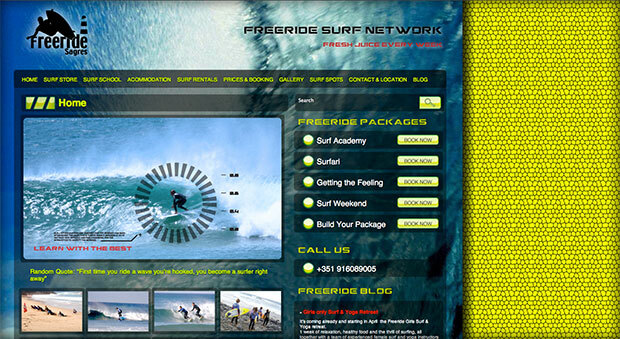 Freeride is a long established Surf School/Shop in the Algarve in Portugal. They requested a site and blog that would fit into their radical and off-the-top approach to business. After a few sketches and proposals, they’ve chosen the most radical approach of them all. This is the result, definitely a different site from what you see out there. Surf’s up! 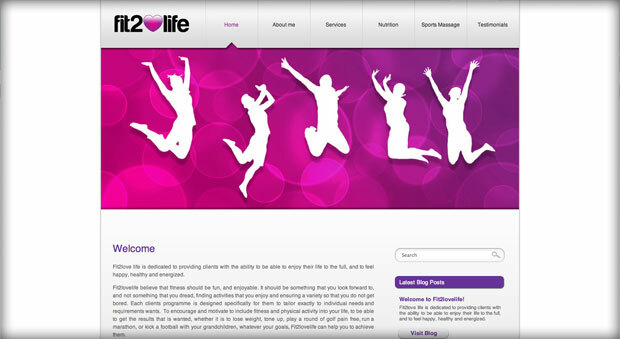 Fit2love life has commissioned Richendesign for the creation of it’s corporative image and website design. I’m working hard to make this brand achieve all its potential. We can now say that the logo and website design have been approved and that the coding of the website and production of all final arts is now ready. A few final tweaks and updates and the site has been live for a year! 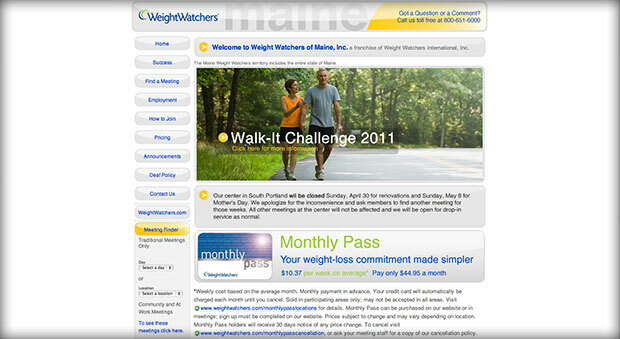 Weight Watchers of Maine is one of the clients I had the pleasure to work with while at Webgami. This site includes diverse features, from e-commerce to location based searches and membership. And while I’m at it, I would like to send a big hello to all the WW Maine team in Portland. 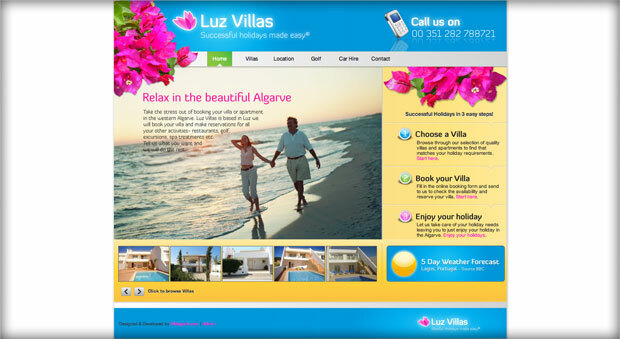 LuzVillas is a property management company in the Algarve in Portugal. They’ve approached us with very specific needs, as they wanted the site to become a management tool for the company’s properties. We delivered! All built over WordPress, this is a beauty on the outside as well as from the inside, with it’s super functional and integrated back-office for property management of course! Through the years I have worked on many other websites that didn’t make this list, but they might be related or be something in the lines of what you are looking for. Please get in touch and discover a lot more of my work and how it may be related to your next project.